Turbo Search Engines in Cars; it is not the whole solution. This list illustrates several things. First search is about finding facts, evidence, aggregated information (documents). It is also about discovering, learning and uncovering information that we can then analyze for any number of decisions or potential actions. Second, search enables us to function more efficiently in all of our worldly activities, execute our jobs, increase our own expertise and generally feed our brains. Third, search does not require the use of electronic technology, nor sophisticated tools, just our amazing senses: sight, hearing, touch, smell and taste. Fourth, that what Google now defines as “cloud computing” and MIT geeks began touting as “wearable” technology a few years ago have converged to bring us cars embedded with what Acura defines as “turbo search engines.” On this fourth point, I needed to discover the point. In small print on the full page ad in Newsweek were phrases like “linked to over 7,000,000 destinations” and “knows where traffic is.” In even tinier print was the statement, “real-time traffic monitoring available in select markets…” I thought I understood that they were promoting the pervasiveness of search potential through the car’s extensive technological features. Then I searched the Internet for the phrase “turbo search engine” coupled with “Acura” only to learn that there was more to it. Notably, there is the “…image-tagging campaign that enables the targeted audience to use their fully-integrated mobile devices to be part of the promotion.” You can read the context yourself. Well, I am still trying to get my head around this fourth point to understand how important it is to helping companies find solid, practical search solutions to problems they face in business enterprises. I don’t believe that a parking lot full of Acura’s is something I will recommend. Fifth, I experienced some additional thoughts about the place for search technology this week. 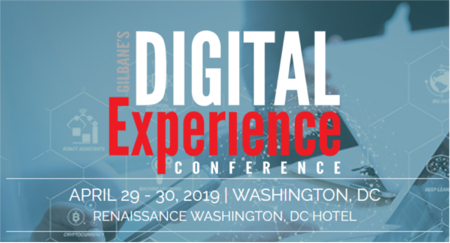 Technology experts like Sue Feldman of IDC and Fern Halper of Hurwitz & Associates appeared on a panel at the Text Analytics Summit. While making clear the distinctions between search and text analytics, and text analytics and text mining, Sue also made clear that algorithmic techniques employed by the various tools being demonstrated are distinct for each solving different problems in different business situations. She and others acknowledge that finally, having embraced search, enterprises are now adopting significant applications using text analytic techniques to make better sense of all the found content. Integration was a recurring theme at the conference, even as it was also obvious that no one product embodies the full range of text search, mining and analytics that any one enterprise might need. When tools and technologies are procured in silos, good integration is a tough proposition, and a costly one. Tacking on one product after another and trying to retrofit to provide a seamless continuum from capturing, storing, and organizing content to retrieving and analyzing the text in it, takes forethought and intelligent human design. Even if you can’t procure the whole solution to all your problems at once, and who can, you do need a vision of where you are going to end up so that each deployment is a building block to the whole architecture. There is a lot to discover at conferences that can’t be learned through search, like what you absorb in a random mix of presentations, discussions and demos that can lead to new insights or just a confirmation of the optimal path to a cohesive plan.